Explanation: An important threshold on Mars has now been crossed. Landing in mid-2012, the Curiosity rover is searching for clues of whether life could ever have existed on the red planet. 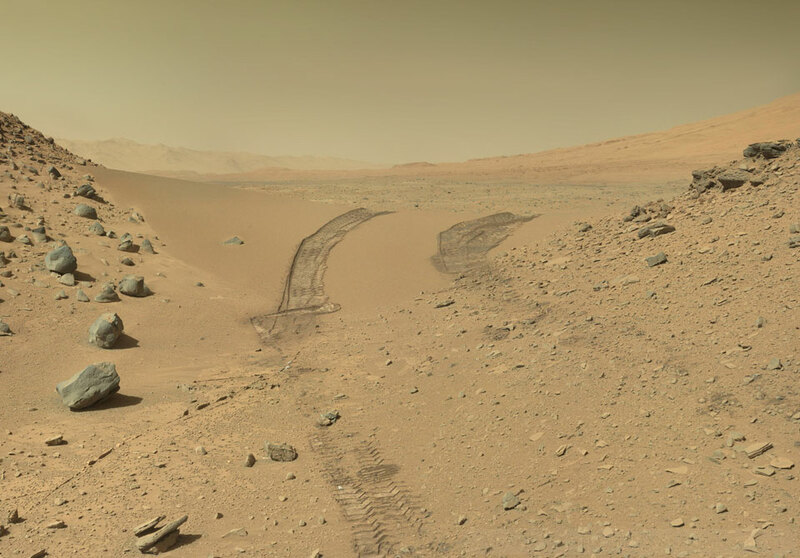 Recent findings of Curiosity include evidence for an ancient (but now dried) freshwater lake, and the non-detection of the biomarker methane in the Martian atmosphere. To continue its investigation, the car-sized rover is on an expedition to roll up Mt. Sharp, the central peak of the large crater in which it landed. Life might have shown preference for water that once ran down the Martian mountain. 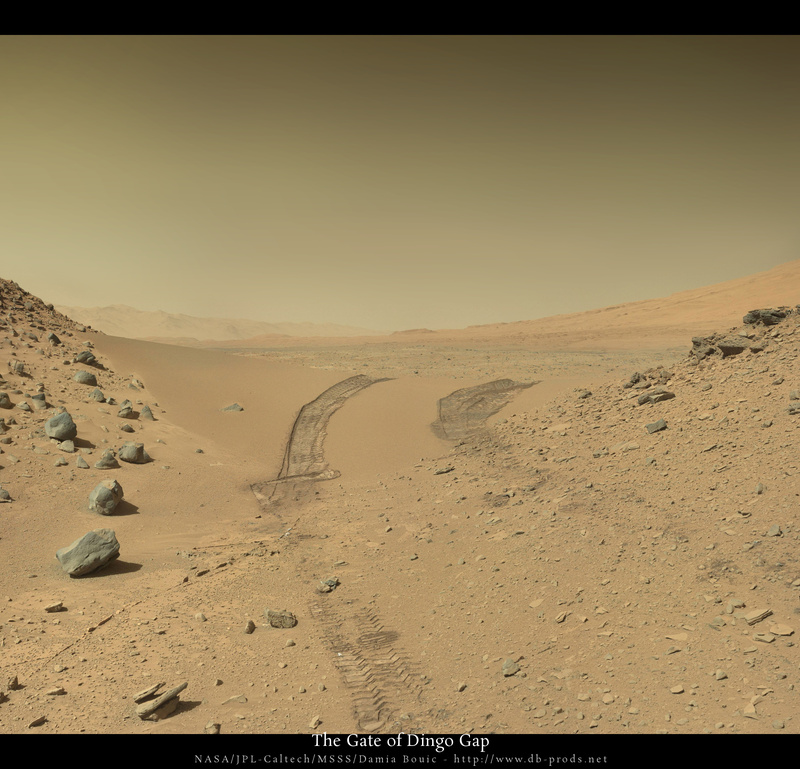 Two weeks ago, to avoid more dangerous and rocky terrain, Curiosity was directed to roll across a one-metre high sand dune that blocked a useful entrance to Mt. Sharp. Just after the short trip over Dingo Gap was successful, the robotic rover took the above image showing the now-traversed sand mound covered with its wheel tracks.